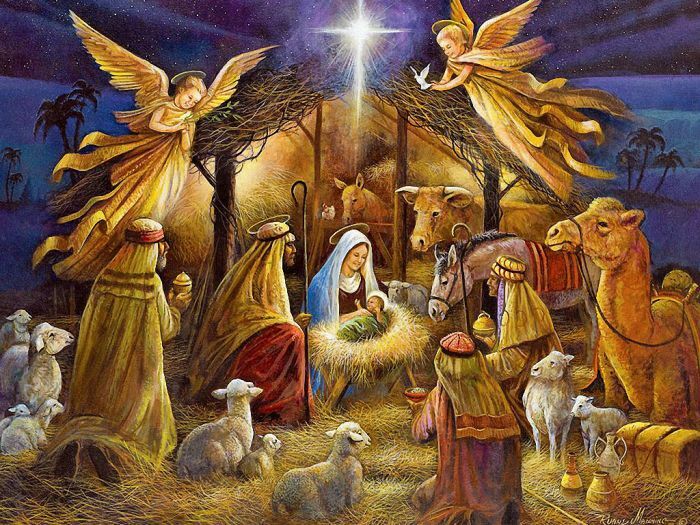 The nativity scene representing the birth of Jesus in the manger with particular motifs and number of people is possibly one of the enduring visual scopes during the year-end holiday season. But as it turns out, the portraiture of the ‘nativity scene’ (or at least its equivalent) predates even Jesus himself (by a whopping 3,000 years), as evidenced by the discovery of a 5,000-year old painting inside a cave in Egypt. To that end, we should understand that very word ‘nativity’ refers to birth, and as such this Neolithic work of art comprises the entire set; with the baby in the middle of his two adult parents, possibly in an ascending posture, accompanied by some animals and most importantly a dot – which might have represented the star in the east. It’s a very evocative scene which indeed resembles the Christmas nativity. But it predates it by some 3,000 years. The discovery has several implications as it raises new questions on the iconography of one of the more powerful Christian symbols. The scene painted in red-ochre, was depicted along the ceiling of the Saharan cave. Now if we look closely enough, the woman’s head is missing, which according to the researchers is simply the result of a rock detachment from the section. And even more intriguing is the posture of the child itself, which seems to be ascending between the parents. The scholars have hypothesized that beyond divinity, it was the very symbolic representation of birth that allows for the baby to ‘rise’. In essence, as contemporary rock art from the same area suggests, birth was symbolically tied to the sky – and hence the ascending posture. Conversely death was symbolically tied to the earth. Of course, the human figures aside, the painting also contains a flurry of other details. One of these pertains to the depiction of two animals. The headless animal on the upper-end of the painting probably relates to the a mythical lion, which also makes its appearance in many art drawings from the same area. 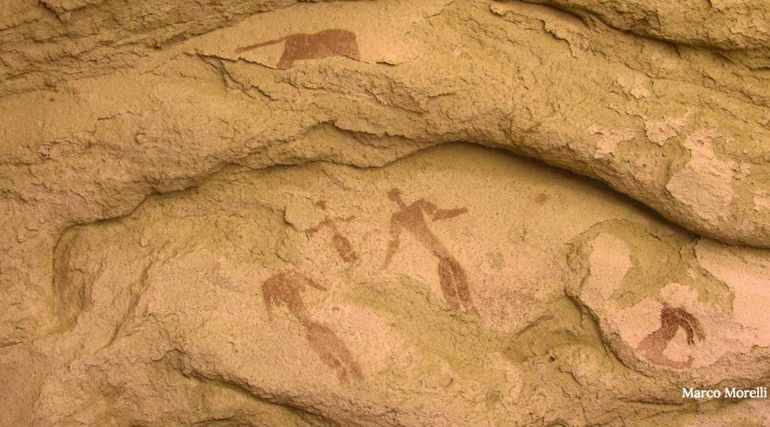 On the lower-right side, we can also see another animal depiction which possibly represents a baboon or an anthropomorphic monkey. No doubt it’s an intriguing drawing. We didn’t find similar scenes until the early Christian age. A ‘modern’ Nativity Scene with the prominent Christmas Star depicted in the background.